“We cannot determine at what pace people are interviewed” by U.S. officials as part of the asylum process, the incoming foreign relations secretary, Marcelo Ebrard, told a news conference in Mexico City. 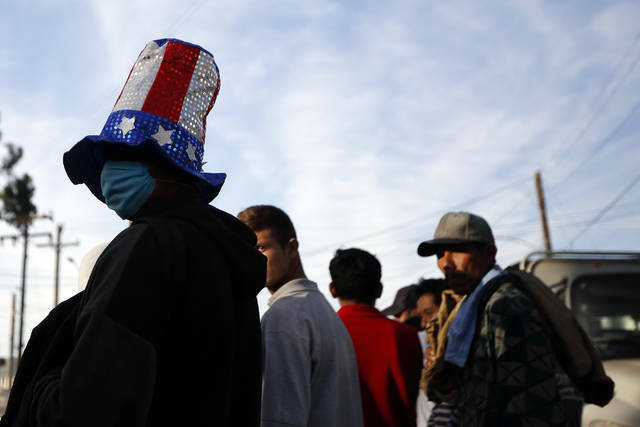 U.S. border inspectors are processing fewer than 100 asylum claims a day at Tijuana’s main crossing to San Diego, creating a backlog of thousands. 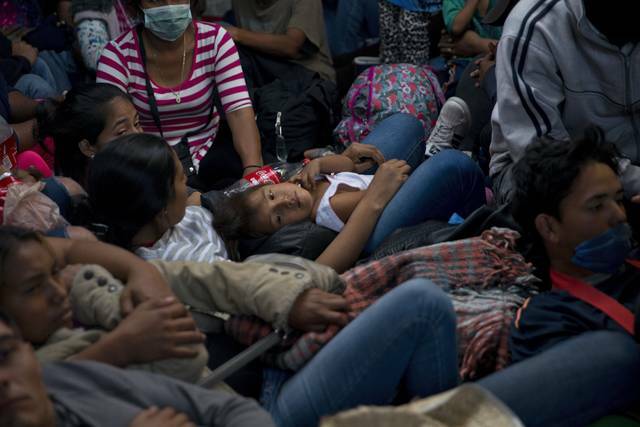 Most were dispirited after the U.S. agents fired tear gas on the group of migrants trying to cross into the U.S. on Sunday. 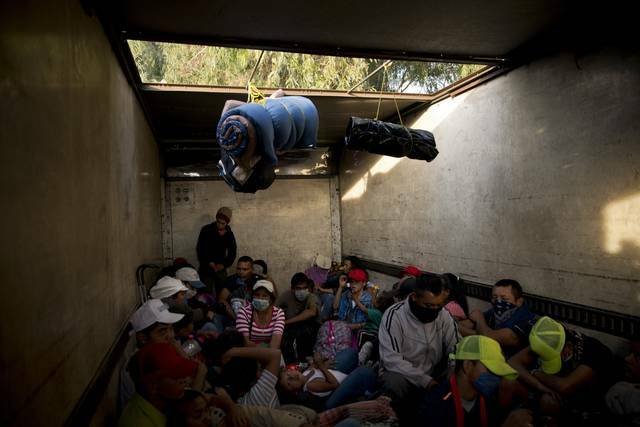 They saw the clash and official response as hurting their chances of reaching the U.S. Mexico’s National Migration Institute reported that 98 migrants were being deported after trying to breach the U.S. border. The country’s Interior Department said about 500 people attempted to rush the border, while U.S. authorities put the number at 1,000. The events made Mina rethink his family’s plan of making it to the U.S. He says he’s heard people talk of Rosarito, a beach town popular with U.S. tourists about a 40-minute drive south of Tijuana. Sotomayor said he hopes migrants who had thought of entering the U.S. illegally learned from Sunday’s events that that won’t be possible. The growing sense that democracy is not delivering enough on the promises of opportunity for all is one reason that democracies around the world are reeling from populist movements. That includes our own country, where the promise of the American Dream seems elusive for too many people. This disconnection is one of the reasons the Bush Institute has partnered with Freedom House and the Penn Biden Center for Diplomacy and Global Engagement on the Democracy Project. The public opinion research program is examining the health of America’s democracy and gauges American attitudes on some of the challenges facing it. Those challenges are not necessarily new. Since Watergate, our democratic system and the institutions that support it have become weaker. Confidence in institutions such as Congress, the media, the courts, and business have all declined. Our research confirmed this dissatisfaction. While we reassuringly found a country that still believes strongly in the ideas and principles of democracy, we also found a country that is questioning whether that system is working as intended. Younger people and nonwhites were notably less likely to believe in American democracy’s ability to deliver on the challenges facing them as individuals. The most alarming part of our findings is that those who are most skeptical about democracy are those who comprise the future majority of our population. The U.S. Census Bureau forecasts that by 2044, non-Hispanic whites will no longer form the majority of the American population. Whites will continue to be the single largest ethnic group, but America will be a majority-minority nation in 26 years. Five states — California, Hawaii, Nevada, New Mexico and Texas — and the District of Columbia already have crossed the threshold to majority-minority status, and more will follow. In my view, our increasing diversity is something to celebrate. It makes us a more dynamic and better country. But to be a better country, our democracy must connect with this new body politic. Our research found significantly less intense support for democracy among racial minorities. For example, 64 percent of white respondents said it was “absolutely important” to live in a democracy, but only 54 percent of nonwhites agreed. What happens if America’s new majority no longer buys into the basic premises that have guided the United States since its founding? A similar trend is in play among age groups. While 60 percent of all respondents said living in a democracy was “absolutely important” to them, 39 percent of those under 30 felt that way. Some research suggests that as people age they tend to become more invested in democracy. Over time, we’d expect those who are currently more ambivalent to become less so. For example, seniors tend to vote in large numbers; people in their late teens and 20s, not so much. But there’s no parallel phenomenon to point to in terms of race. It shouldn’t surprise anyone who’s looked at social media or watched the news of the last few years that significant and important differences of opinion exist on questions related to race in America. When our poll asked if equal rights and protections for racial minorities are getting better or worse, whites and nonwhites expressed very different perspectives. Among whites, 50 percent said things were improving, versus 41 percent who said they were not. But among nonwhite respondents, just 31 percent said things were getting better, and 63 percent said they were getting worse. We asked respondents to choose two among 10 elements of democracy that are most important to them personally. Significantly, “equal rights regardless of gender, race or beliefs” was ranked as the single-most important element of democracy, ahead of concepts such as freedom of speech, checks and balances, and free elections. Four in 10 respondents named equal rights as the most important value to them personally. Among key demographic groups we saw even stronger conviction on equal rights. Nearly five in 10 nonwhite respondents and a similar number of those aged 18–29 stated it was the most important element to them. When half of the nonwhite population says equal rights are the most important element of a democracy and nearly two-thirds of them believe equal rights are getting worse, we have a problem. As America transitions from a white-majority society to a much more diverse population, and as millennials become the largest generation, it’s imperative that they see their democracy is built on the concept of equal rights. It’s vital that they believe their democracy protects them. One element of that is clearly the criminal justice system. For many Americans, especially African-Americans, there are grave doubts that justice is truly just. When our survey asked, “Do you have confidence in your local police?” just under a third of white respondents said they lacked confidence. But more than half of nonwhites said they did not have confidence in their local police. Nearly 90 percent favored this message — across party, racial, regional and generational lines. By focusing on some of the core elements of our democratic system, we have the tools to strengthen our democracy. Vote. Give your time to causes or candidates you believe in. Pay attention to current events. Treat each other with respect and civility. In so doing, we can ensure that America’s democracy delivers for every American. Lindsay Lloyd is deputy director of Human Freedom at the George W. Bush Institute. He wrote this essay for “The Catalyst: A Journal of Ideas from the Bush Institute.” This is distributed by InsideSources.com. Disclosure statement: Julie J. Park served as a consulting expert for The President and Fellows of Harvard College (Harvard Corporation) (“Harvard”) in connection with the matter of Students for Fair Admissions, Inc. v. Harvard, Civ. Act. No. 1:14-14176. The views and opinions expressed here are her own and do not reflect Harvard’s views or information learned from Harvard in the course of her work.